Arguably the toughest section of the whole Tour Down Under race. Tour Down Under rides into the Fleurieu Peninsula! the santos tour down under will grace SA roads from 10-20 January 2019. Affectionately known as the “the tour”, the TDU is undoubtedly the biggest event on the calendar, and in 2019 the Fleurieu Peninsula plays host to 2 stages including the finish at Willunga Hill. It’s sure to be a cracker! From Glenelg, the peloton heads south down the Southern Expressway to Myponga before veering east towards popular coastal towns of Victor Harbor, Port Elliott, Middleton and Goolwa before climbing into the hills for the finish in Strathalbyn. After the race, sample local gourmet food with live entertainment and kids’ activities at Summer & Spokes. The day will start in McLaren Vale, famous for its winemaking. The town is always in party mode during the race, when the peloton head for the iconic Willunga Hill. Fans flock roadside to cheer on their heroes in what is the deciding stage of the Santos Tour Down Under. Celebrate among the vines with live evening entertainment under the stars at the McLaren Vale and Fleurieu Visitor Centre. Don’t just stay for the race – take some time out to explore the wonders on offer in the Fleurieu Peninsula. Come to the region early, and gear up for the Aldinga Street Party and Markets on Friday 18th January. There are plenty of accommodation options throughout the region – yes you could stay in close-by McLaren Vale or Willunga, but why not stay in an area you haven’t experienced before? Links Lady Bay and Wirrina Cove Resort are two stunning options on the coast, and less than 45 minutes’ drive from Aldinga. For somewhere fun, stay at the award-winning Beach Huts Middleton. If you’re after a budget-friendly option, The Port Elliot Beach House YHA may be just what you’re looking for. Brought your caravan with you? No problem. There are caravan and camping parks galore dotted throughout the region, with powered sites and the option of luxury cabins available at most parks. Nature lovers – if the race doesn’t leave you awe-struck, the beauty of Deep Creek Conservation Park will! The park has camping sites available at the Stringybark Campground. Most cyclists will agree morning coffee is a must! Don’t go past the likes of The Golden Fleece Café or the Green Room in Willunga. On the coast, you can get your fix at the Fleurieu Pantry in Port Noarlunga or Maxwell’s Grocery in Aldinga. Lots of Fleurieu cafes offer generous locally-sourced breakfasts, so fill your tummies up for a day of exploring! Soak up your surroundings at one of our many wineries and cellar doors – there are over 160 across the Fleurieu Peninsula. The Mitolo Wines tasting room is one new kid on the block, offering visitors a premium and personalised tasting experience. Check out the ingenious design of the Inkwell Wine’s cellar door and accommodation – constructed out of 20 shipping containers. That puts a spin on reduce-reuse-recycle! Don’t leave without having a little cycling adventure of your own. Coast & Co offer electric e-bike hire, so you can explore the best that McLaren Vale has to offer (and if you get tired, your fairy bike-mother comes to your aid). Talk about the perfect combination of adventure and luxury! If you have BYO bikes, the Encounter Bikeway is a 30km track between the Bluff at Encounter Bay and Laffin Point in Goolwa. Or there’s the 37km Coast to Vines Rail Trail which takes you from Marino Rocks railway station all the way to the former station at Willunga. 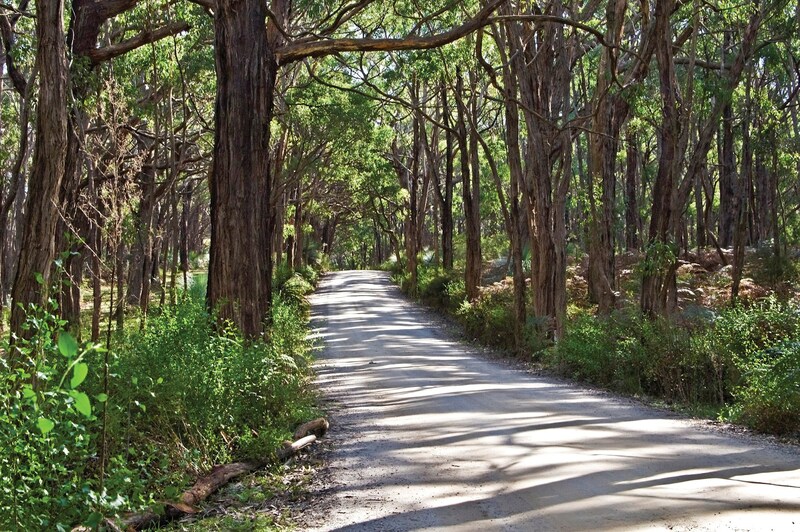 These trails are a great way to experience some of the Fleurieu’s most beautiful scenery with your family on two wheels! If you'd rather do things on two feet, there are a number of great walking trails in the Fleurieu. 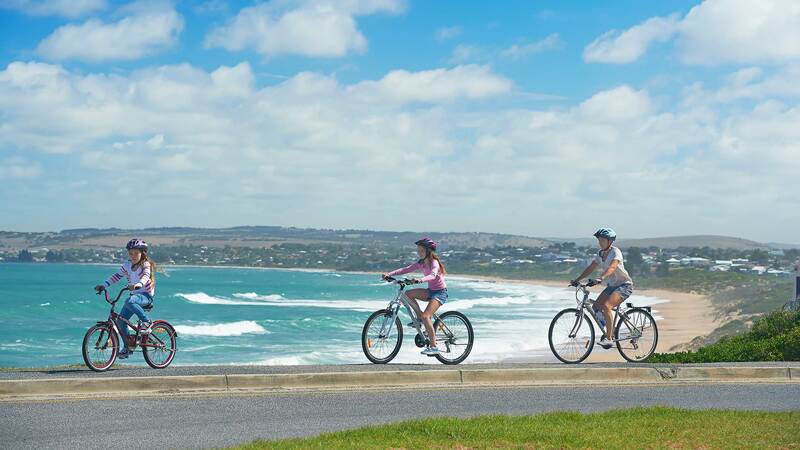 Make the most of your TDU time in the Fleurieu Peninsula – there’s more to discover than you think!